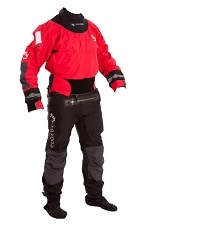 High performance Typhoon Multisport 4 QuadPly drysuit with a back access brass zip that's extremely popular for both whitewater canoeing and kayaking. Typhoon Multisport 4 drysuit gives you the very best blend of protection and comfort for when paddling canoes or kayaks through whitewater in the colder months. The Multisport 4 features a tough, QuadPly 4 layer material with bras BDM rear shoulder entry zip, full latex neck and wrist seals and reinforcements where you need them. The Typhoon Multisport 4 is one of the most widely paddled drysuits whether in a canoe or kayak and has created a reputation as a top-quality drysuit whatever grade of whitewater you are paddling. 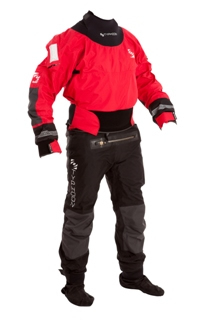 Getting into the Typhoon Multisport 4 drysuit is a simple afair with a large brass zip on the rear of the shoulders. Once inside, there is a pair of comfortable shoulder braces to take most of the weight of the suit while you then push your hands through the latex wrist seals and neck gasket. 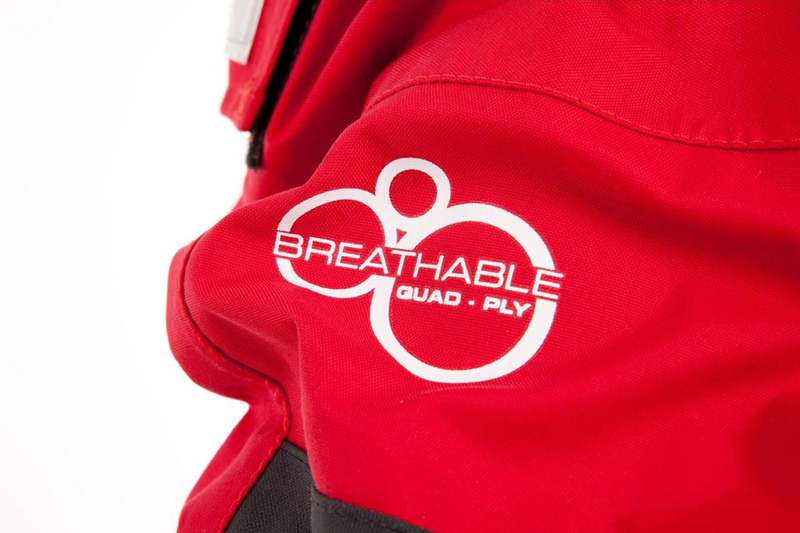 You quickly notice how durable the Multisport feels and the reinforced seat and knees give you confidence that you'll be with this drysuit for some time. Getting the rear zip done up is simple and with a little practice and waxing of the zip, can be done quickly and efficiently. On the water, you stay nice and dry as you paddle through your day and remain warm even in the depths of winter allowing you to enjoy as much of your time paddle as possible. The Typhoon Multisport 4 is available for delivery thoughout England, Wales, Scotland, Northern Ireland & Ireland. The Typhoon Multisport 4 is available for instore collection from Norfolk Canoes or from any branch within the Canoe Shops Group.